Having an RV, camper or trailer can be a big expense, but fixing issues shouldn't always have to cost you an arm and a leg. 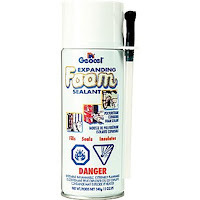 If you have a leak in the roof or have a draft coming from the windows and doors, check out the Geocel Expanding Foam Sealant, which is designed specifically for fixing leaks, gaps, cracks and stops air infiltration around your RV. This sealant is made of a durable polyurethane foam and when sprayed into an area it will expand from 2 1/2 to 3 times to fill the gap. Using this product makes it easy to conserve energy, especially when used to seal and insulate windows and doors. You won't have to worry about the cold getting in or the heat escaping anymore. For those other leaks including the roof, it will seal the hole keeping water, bugs and anything else from getting inside and possibly creating damage. It is simple to use, for the best results store and use at room temperature. Fill the lower part of the gap first, you will only need to fill about 40 percent as the foam will expand filling the rest. Once filled do not touch as it can collapse, but it will be tack free/no longer sticky in 5 minutes and cures or sets firmly in approximately 24 hours. If foam is used on the exterior surface of your RV, you may want to paint it when it dries, for protection as it is not UV resistant. There is no maintenance required, if the seal gets damaged, just scrape it off and reseal. 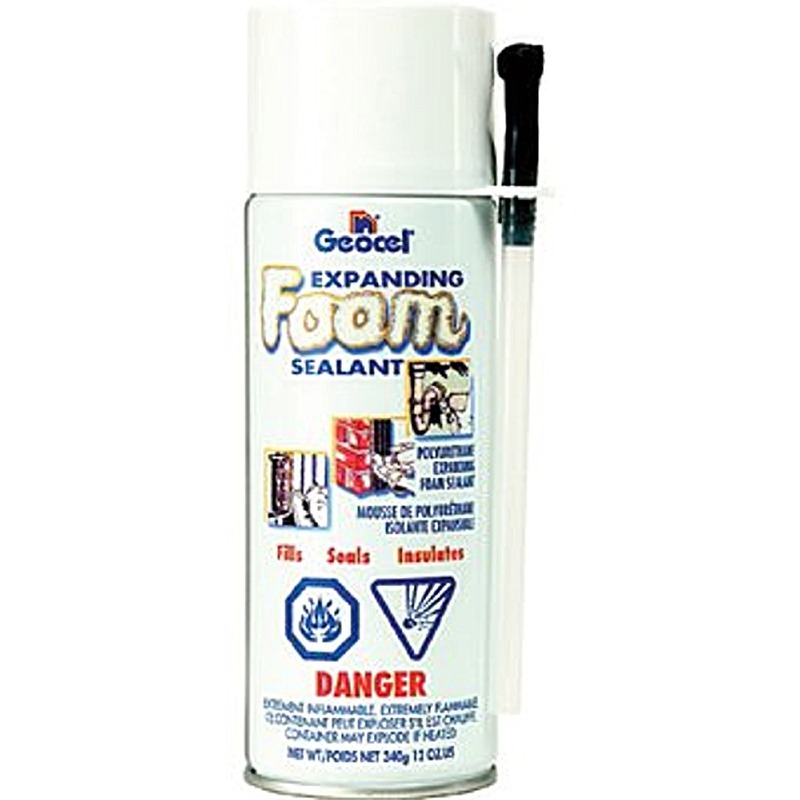 The Geocel Expanding Foam Sealant is one of the many great RV accessories that are perfect for fixing certain issues around your RV. To find out about more visit our site at RVupgrades.com and discover many different ways to take care of your home on wheels.